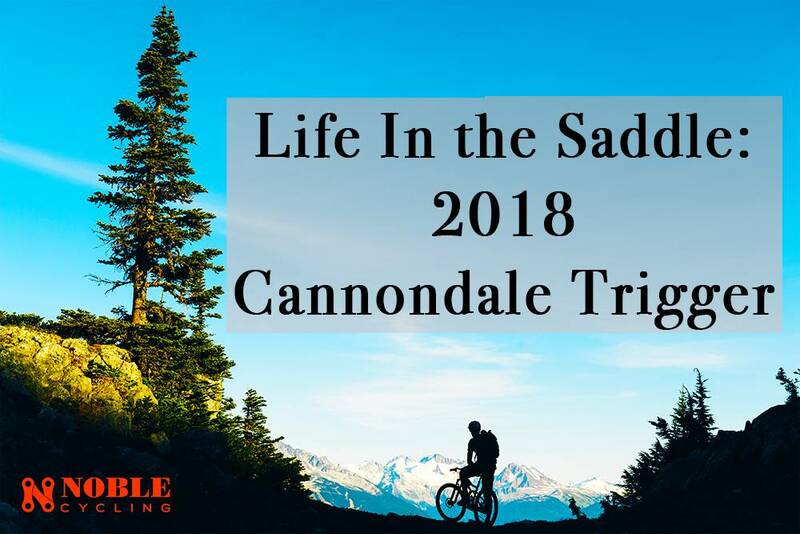 For 2018, Cannondale completely redesigned the Trigger to make it more fun and an rip- roarin 150mm travel all mountain machine for fast fun and all day comfort. 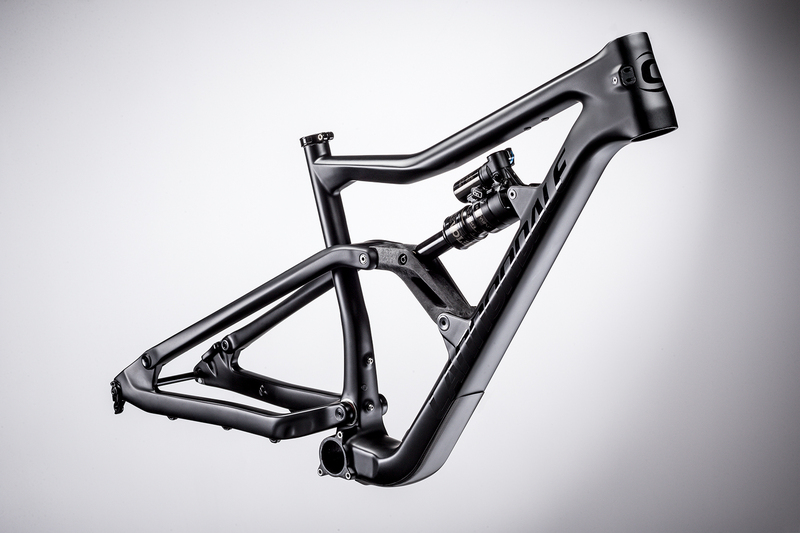 First things first, the Trigger is Cannondale’s all-mountain offering. It boasts a 150mm front suspension with 145mm suspension in the rear. Speaking of the rear suspension, this is where things get interesting. 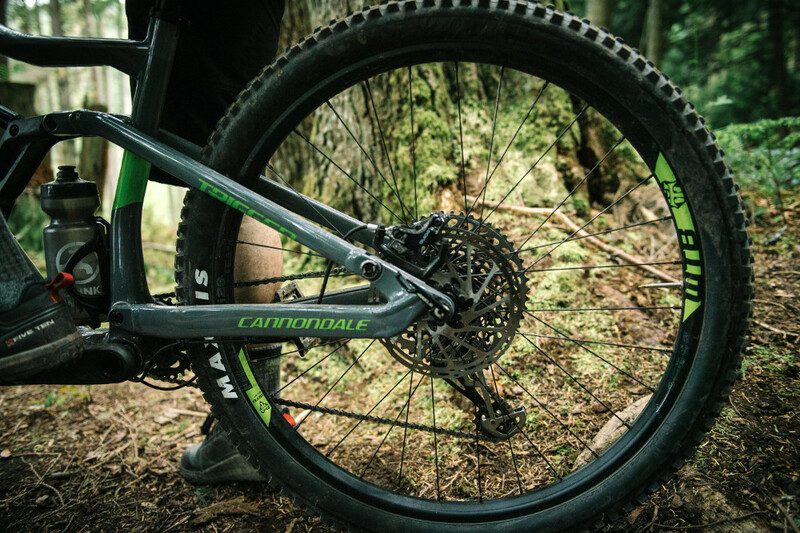 For the Jekyll and Trigger, Cannondale teamed up with Fox to develop the Gemini system. I promise this is not related to Macklemore’s album Gemini, although a collaboration between Fox, Cannondale, and Macklemore would be an awesome music video; yet, I digress to more important matters. The Gemini system is meant to give the rider the opportunity to use what they call Hustle & Flow Mode. Using a remote trigger, the rider is able to adjust the rear suspension from 145mm to 115mm. During my time on the bike, I found this feature to be a significant adjustment to normal riding. While reaching down to adjust the rear suspension is not difficult, the ease of a remote trigger is very convenient. I also thought that the ability to change the amount of rear suspension on the fly added a level of control to my riding that I haven’t experienced before. Actually, being able to adjust the amount of travel in the rear helped in climbing like I couldn’t believe. The front fork is setup with a Fox 34 150mm travel fork which keeps things interesting. 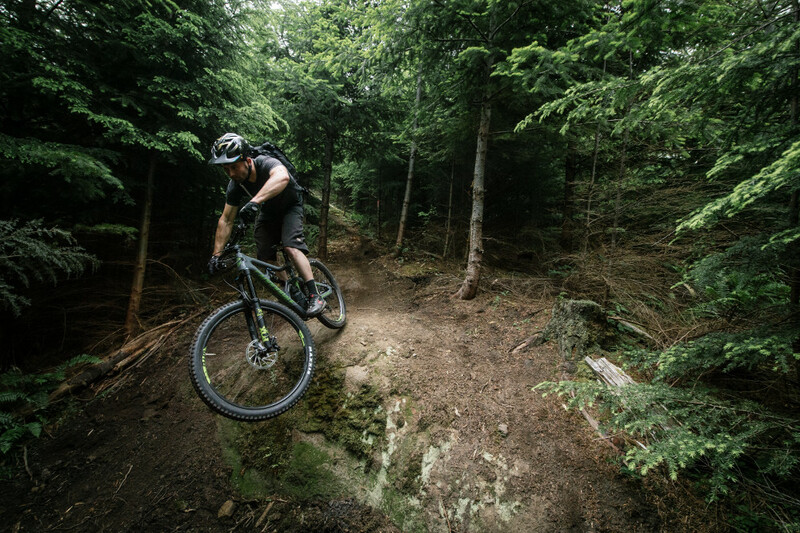 With the slack geometry putting the rider in the position to climb or descend like the pros, the 150mm of front travel is a blessing for those big drops and the sendy jumps. However, the Fox 34 is not to much to climb with, it allows for confidence in the climb and anticipation for the downhill. Moving on, riding the Trigger is definitely an experience. 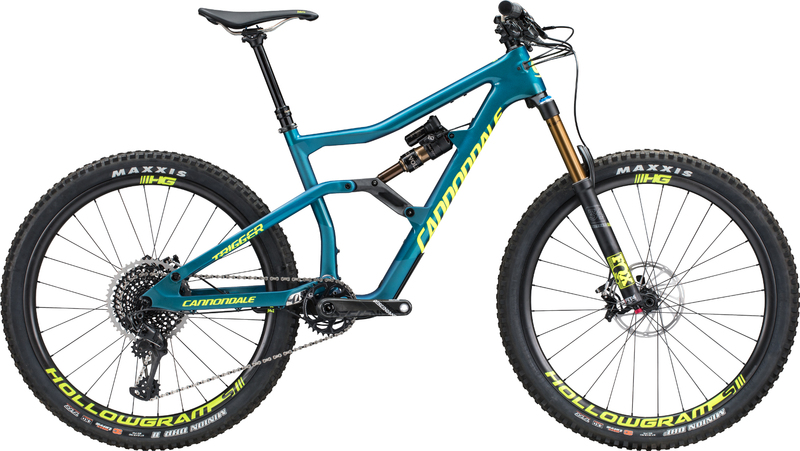 The complete redesign altered the classic geometry and integrated into a much more modern aggressiveness that we have come to expect from Cannondale's line of road and mountain bikes. 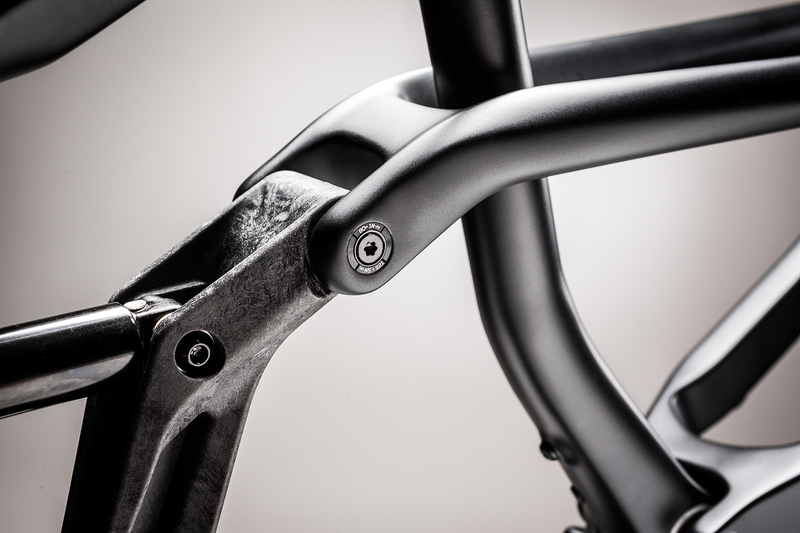 As with all of Cannondale’s bikes, the geometry is the most important aspect of the bike to which the company throws tons of time and resources into the geometry of the bike to maximize the comfort, confidence, and fun. The Trigger is an ode to that dedication because the cockpit is designed so that you never feel that you are being thrown forward or backward but sets you level over all types of terrain. Consider it like a Go-Pro where the bike has image stabilization to give you the best final result, even when you are traversing some pretty gnarly stuff. It allows you to stay in control even when you might be riding a little beyond your limit. This attention to rider comfort translates to confidence on downhill sections and jumps, as well as a willingness to climb that left me wanting to climb every mountain just do descend it. Similar to Uncle Rico, I wanted to climb the Trigger over that mountain, any mountain. During the test rides, the suspension was supple when in the Flow Mode and soaked up the small and big bumps alike. In the Hustle mode, the bike felt slightly more like a cross-country bike and got my heart rate to the danger zone but I just kept on because I knew the bike could take it. Using the different amounts of rear travel is an awesome feature that I hope to see on more bikes going forward. I think the marketing for the Trigger is spot on, it definitely is an “All & All” bike. 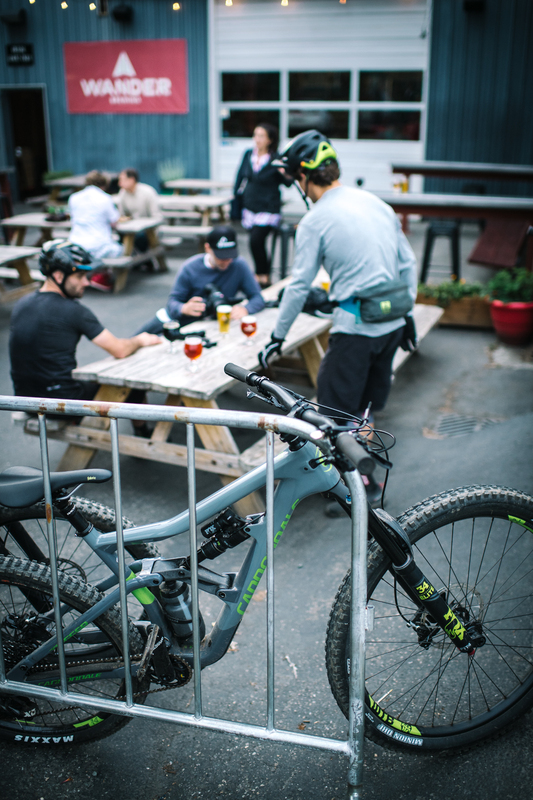 As Cannondale’s all-mountain offering, the Trigger gave me the freedom to ride anything. From taking in laps at the Deer Valley or Park City to climbing the Wonder of the Wasatch Trail in Heber or taking my time in Spanish Fork Canyon, I could ride it all. The Trigger is available in the Eagle 12 speed or the 11 speed but all models are 1x setup which provides confidence in your gear change. The bike is a lot of fun and tops the list of bikes I have reviewed in the 150mm all-mountain category. If you have any questions about the Trigger or my review don’t hesitate to reach out, unless you are and Mrs. Weisel, my high school English teacher, in that case, please hesitate.